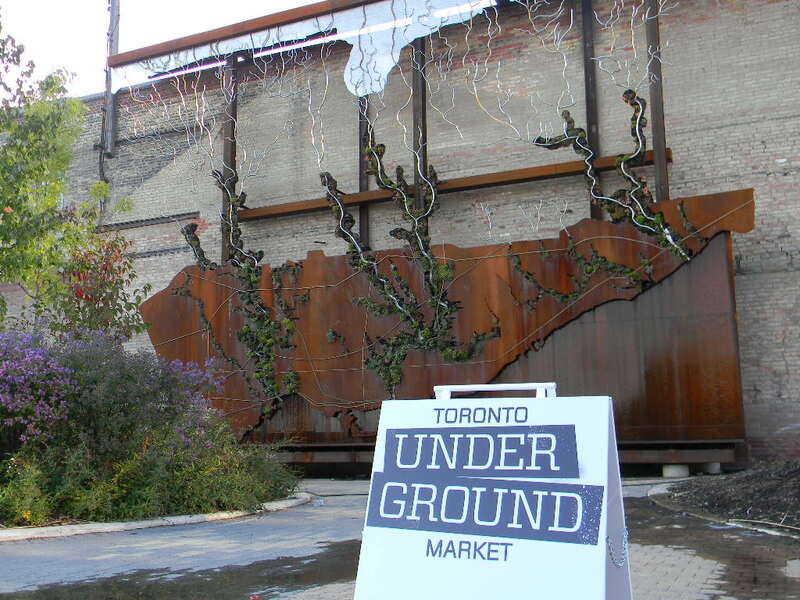 On Saturday I attended the first Toronto Underground Market held at the Evergreen Brick Works. This social food market is a way to bring Toronto Foodies and different vendors together in a unique setting. This event is a great opportunity for some of the vendors to do some market research and to receive more exposure in the Toronto market. 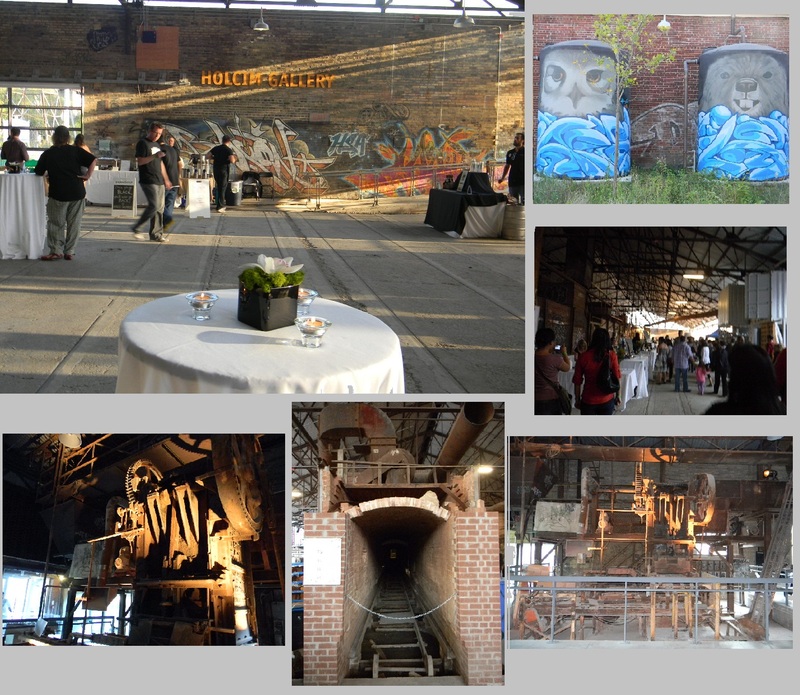 I loved the venue for TUM, the Evergreen Brick Works is beautiful, rustic, modern and unique. I know, it sounds strange but it somehow works and it was the perfect setting for an “underground” market. Now, the important part, the market. 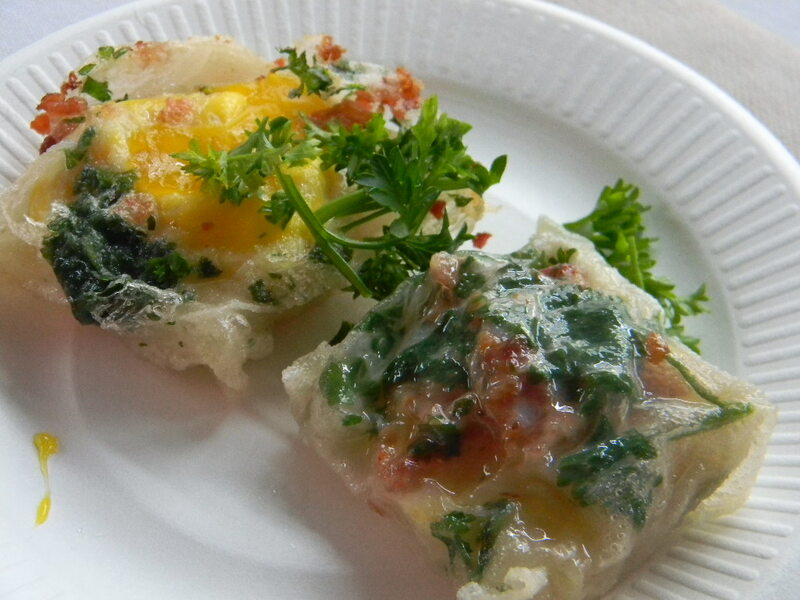 All the vendors provided little menus composed of little appetizer sized dishes for $2 to $5. There was so much to taste. My friends & I hung out at the market for a few hours and tried as many things as possible. In the beginning of the night, the lineups were short and quick but by the end of the night some of the vendors had crazy lineups. 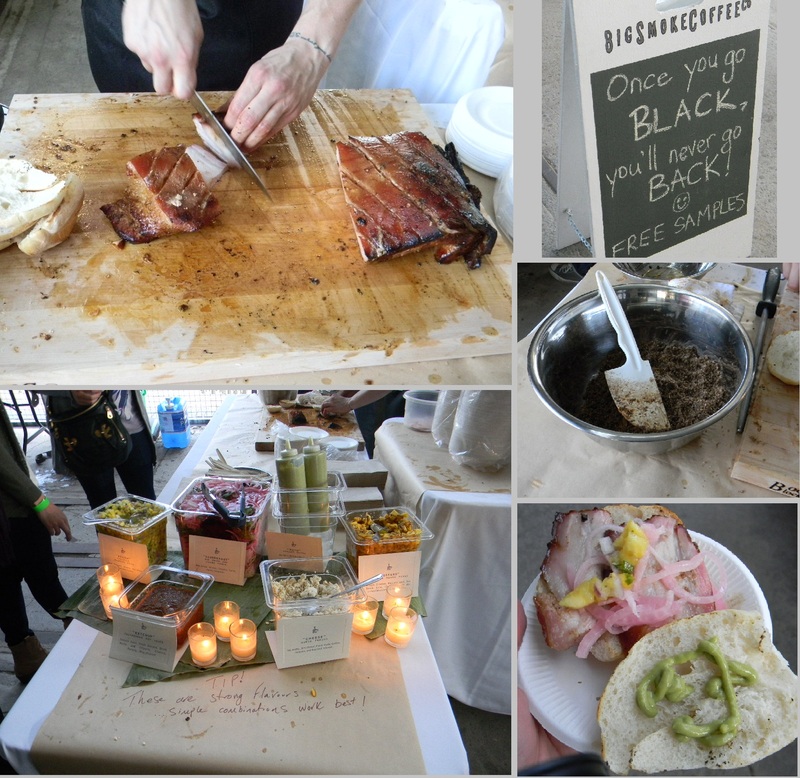 Some people were in line for over 30 mins to try the most popular dishes of the night. It was all in all, a very fun and exciting evening. Check out this picture my friend took in the middle of the craziness! Now, here are some of our favorite dishes of the night. Pork Belly sandwich ($3) from Big Smoke Coffee Co. Winner of the night for me! Tasted amazing, lots of yummy toppings all sorted on a beautiful table! 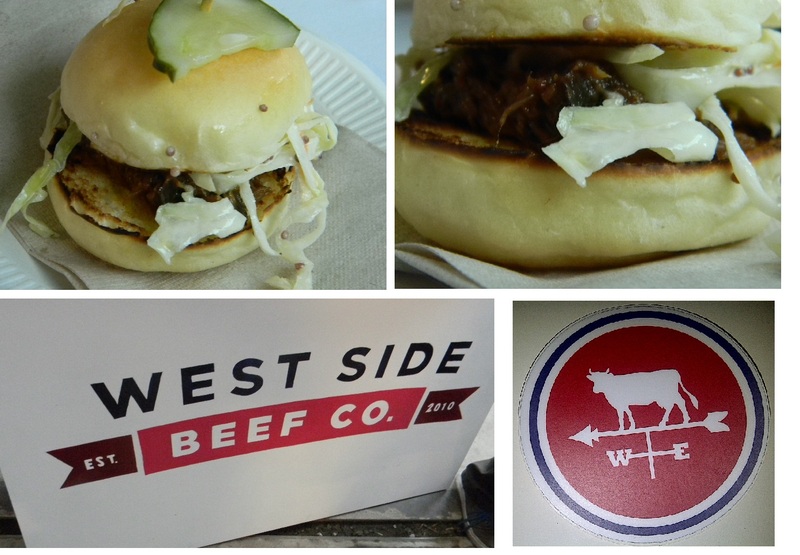 Beef Po'Boy ($4) from Westside Beef Co, I enjoyed the petite sliders and the yummy goodness of each bite. I like the crunchiness of the slaw in it. 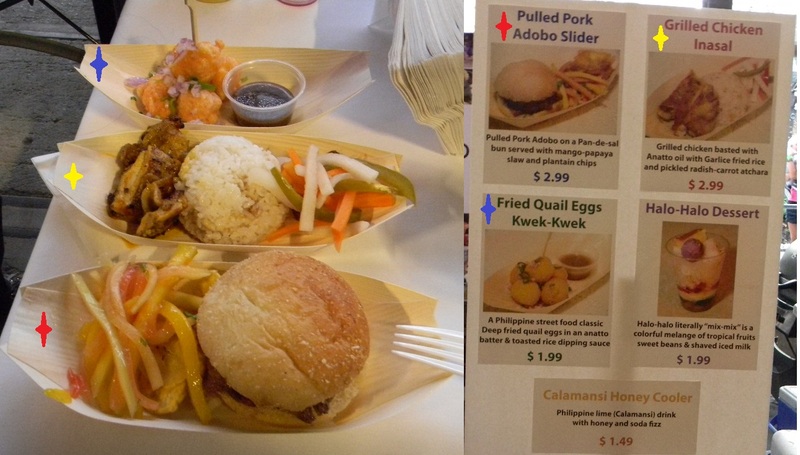 We tried most of the items off the Bistro Filipino menu, they were oh so yummy!! 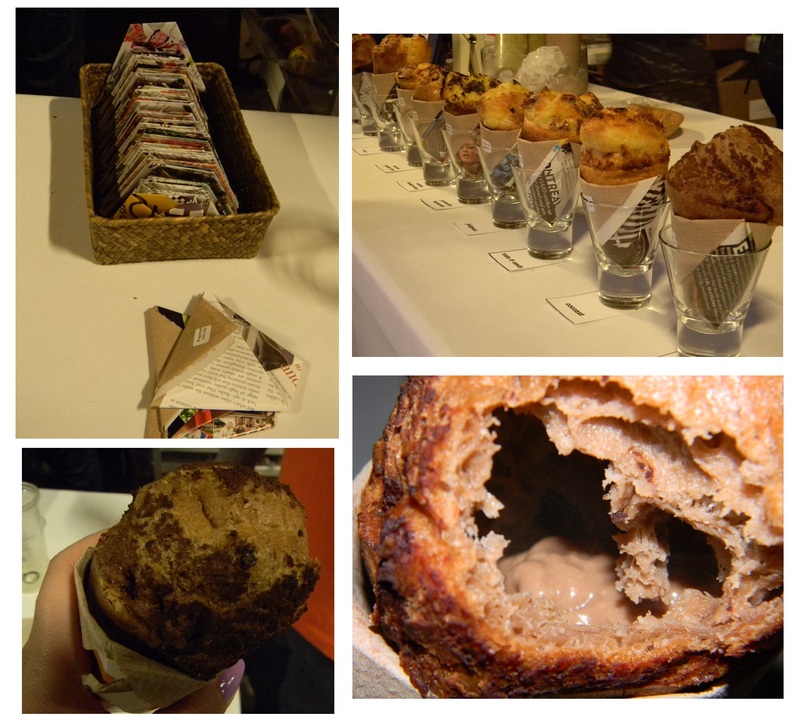 Chocolate filled chocolate popover ($3) from Popover Girl, served in an origami cone made from old magazine pages, how crafty & cute is that! We had an amazing time at the market, it was truly a unique experience, the vendors were great, the volunteers were so informative and friendly and of course the food was tasty. I can’t wait till October 22nd when the 2nd installment of TUM is taking place. I recommend buying your tickets NOW, since for the first event, tickets were sold out within the first few days. Just noticed your name when TUM retweeted you! I like how your coded coded the food from Bistro Filipino. 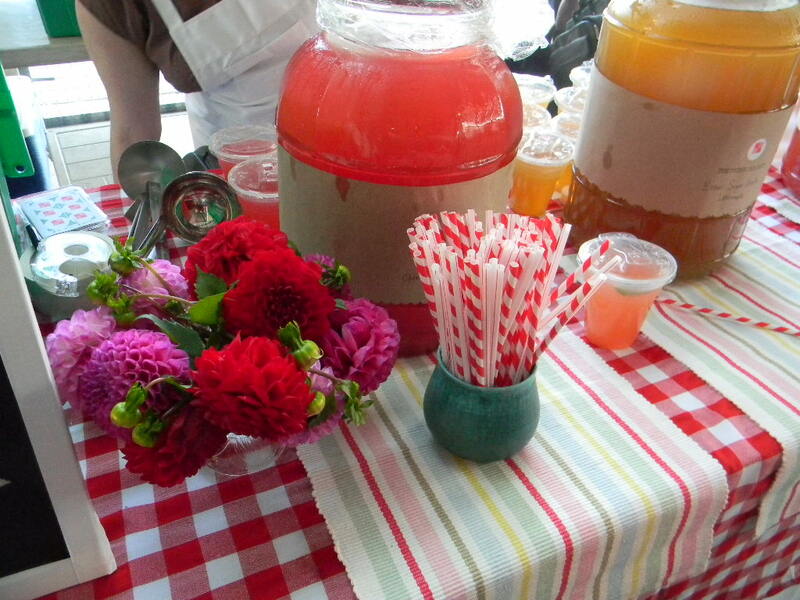 Hope you enjoyed the rest of your time at the market, it was nice meeting you! HI CINDY!!! It was so nice to meet you & your friend as well! I hope to see you guys either this Saturday or in October for TUM2! thx for sharing the great pics and recognizing the enviro friendly origami cups! I can’t wait to devour more of those popovers in October for TUM2! Previous PostI Want A Watch, A Mutewatch!